Did your parents drive you around town when you were little and make you look at Christmas lights? Mine did, and I although I thought it was incredibly boring at the time, I now want to do the same for my kids! Jennifer has a couple of areas to recommend: The King of Arms subdivision always has a nice display of green and gold lights on the neighborhood-planted and symmetrical trees since a certain #92 lived in the neighborhood in the 1990s. And of course, you all probably know about the house on the corner of Dousman Street and Platten that puts Clark Griswold to shame. If the temperature ever reaches a tolerable level (maybe this weekend? ), my husband and I plan on putting the kids in the wagon and taking them around the block. Our De Pere neighborhood has done a nice job with the holiday decorations this year! Our kids are completely obsessed with Christmas lights this year, so it doesn’t take much to make them happy, either! 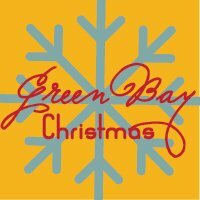 Instead of driving around Green Bay aimlessly, you’ll be happy to know there is a website devoted to the best Christmas displays around town called Green Bay Christmas. A lot of the content is user-submitted photos so you can decide for yourself if the display is drive-by worthy and which area of town you might want to concentrate on. It looks like, this year, their Facebook page is getting most of the photos, so you might want to check that out first. The NEW Zoo is holding their Holiday Fest on Friday, December 13 and Saturday, December 14. On these two dates, the zoo will be open extended hours from 5pm – 8pm. Walk the pathways of the zoo or, for $3, take a horse drawn wagon ride through the Reforestation Camp trails. Kids can visit with Santa both evenings and parents can take advantage of the big savings at the Paws and Claws Gift Shop! There will also be a Breakfast with Santa on December 14 at 8am. There is an additional charge for this event. For more information on the NEW Zoo’s Holiday Fest (and Breakfast with Santa), click here.